An alert young brown bears forages among a mussel bed at low tide. Second only to the Polar Bear in size, the brown bear is one of the largest predatory land mammals in the world. Coastal brown bears can weigh in excess of 1500 lbs. Such a large and formidable predator commands your attention at all times and demands great respect. 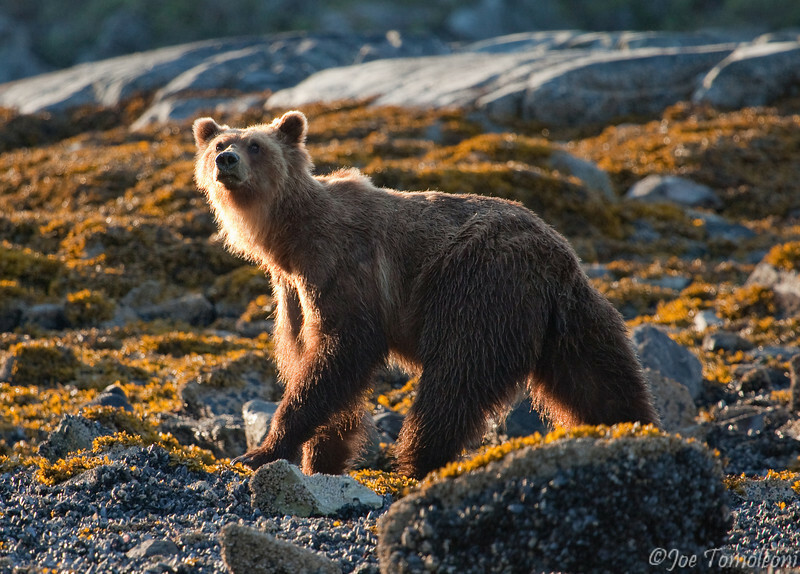 Though brown bears are outnumbered 7:1 by black bears in Southeast Alaska, they are responsible for more human fatalities than any other bear.